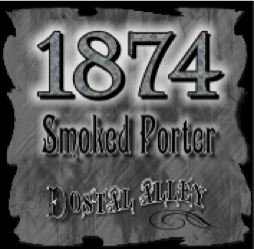 Our Winter Seasonal Beer, 1874 has become a customer favorite. A rich full body Porter brewed with Colorado Malt . Brewed with a fair amount of smoked Colorado malt from our friends at Colorado Malting. 1874 is very drinkable. Goes very well with our Hot Wings. Named for the famous fire in 1874 that burned down most of the downtown of Central City. The fire started in the back alley of the Dostal Block spreading quickly ending when there was nothing left to burn.